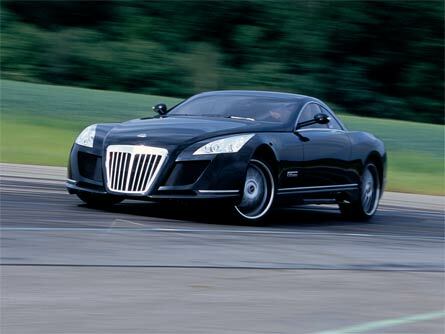 Jay Z Drives the Maybach Exelero Concept in "Lost Ones"
Every time we see the Exelero, it just looks meaner. Will they ever build it? Jay-Z might have the best life ever. Sure, he’s worth hundreds of millions of dollars and owns a basketball team, but that isn’t what I’m talking about here. And his video in which he’s racing around Monte Carlo with Danica Patrick and Dale Jr. in a Pagani Zonda and a Ferrari F430 Spider? The real reason we’re jealous of the guy is his latest video for the song “Lost Ones” in which he drives, of all things, the Maybach Exelero concept. Take that, Young Jeezy. The Exelero looks like a Batmobile, except much, much cooler. And for being such an awesome concept, it never got much attention after being first seen about a year and half ago. Does this cameo mean that Maybach might be thinking about building the car? We hope so; their sedan isn’t one quarter the car this freight-train meets Darth Vader coupe is. Our own Georg Kacher drove the Exelero last summer. ; Read the review here, then check out this wallpaper photo gallery. Do you think the Exelero will ever be built?